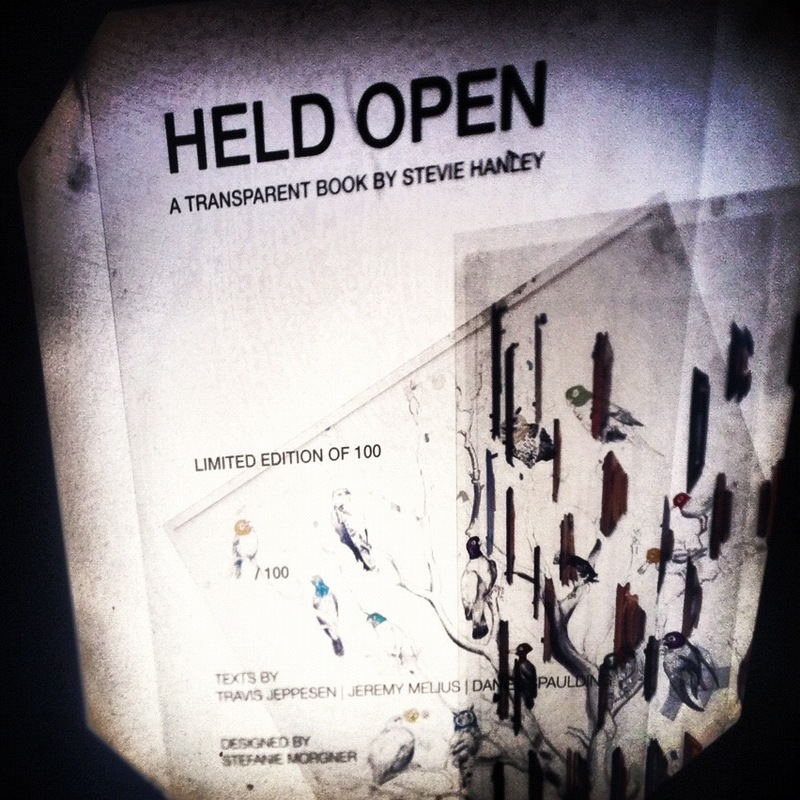 HELD OPEN is an entirely transparent artist book in a certificated limited edition of 100 by Stevie Hanley with texts by Travis Jeppesen, Jeremy Melius and Daniel Spaulding. 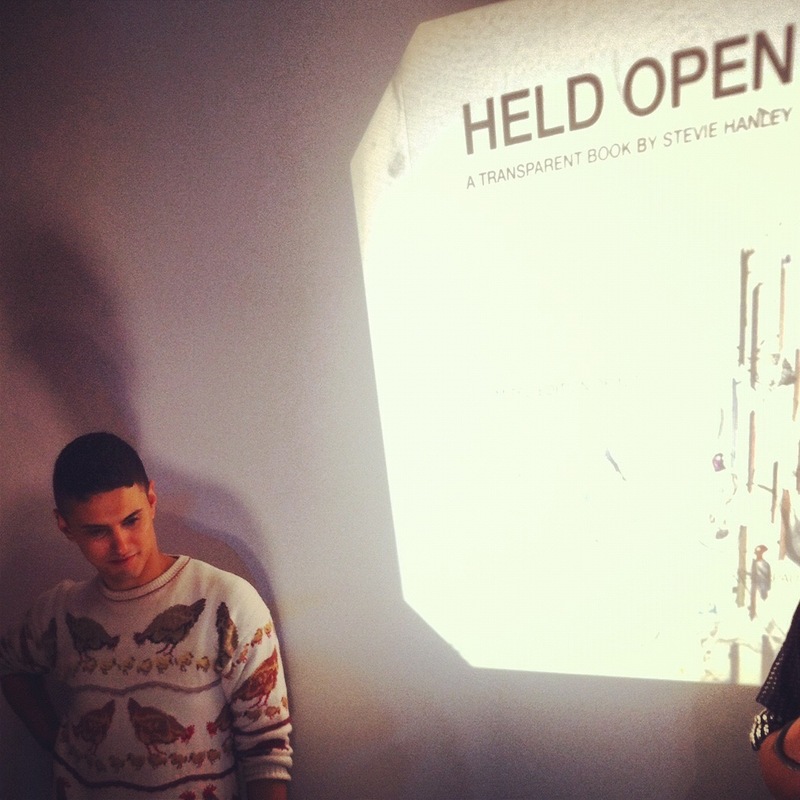 Held Open is designed by Stef Morgner and has been launched at the September Gallery Thursday July 12th in 2012. 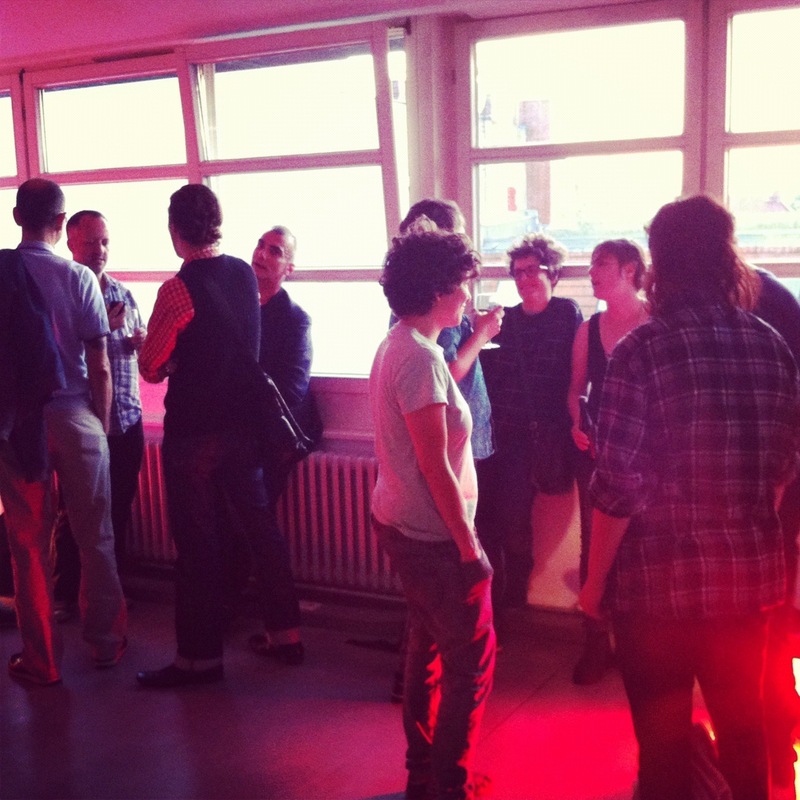 All artworks catalogued in Held Open were produced in Berlin by Stevie Hanley between the years of 2006 to 2012. While Hanley’s experimental approach ensures a wide breath in materials and technique, ultimately all works are about hiding. Paradoxically, transparency rather than exposing obscures: the transparency of the pages renders the book illegible without the aid of an opaque sheet of white the viewer must place behind each folio to separate one page of text from another and to color correct four-color-process printed images. It is only appropriate then, in a final play with hiding and revealing, to have a body of work engaged with “hiddenness” catalogued in an entirely transparent book. 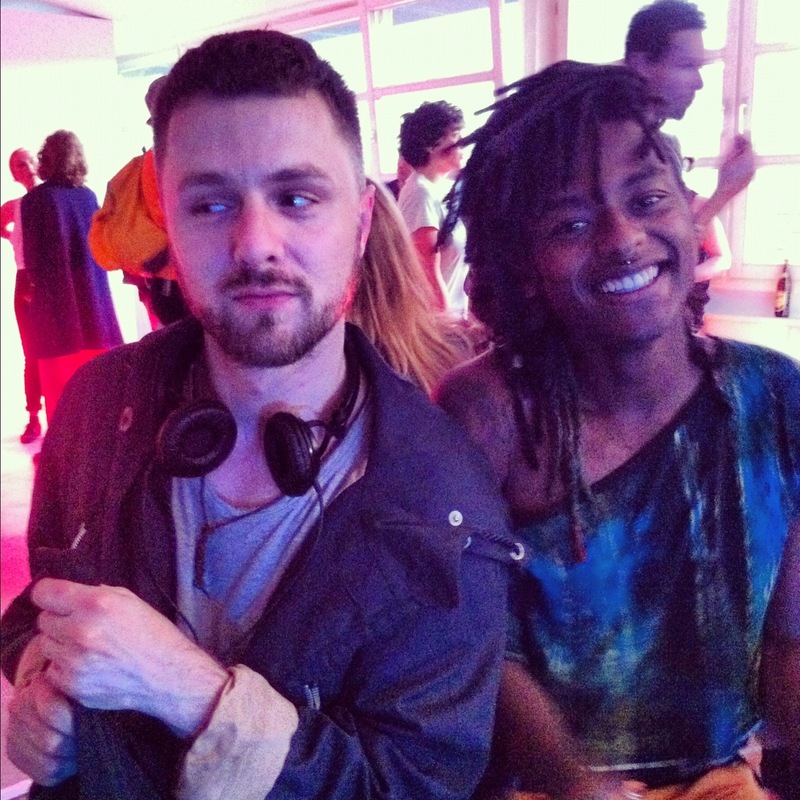 Stevie Hanley has exhibited extensively in Berlin where he lived for six years, notably at September Gallery, Kunsthaus Bethanien, The Center for Endless Progress, and the Schwules Museum. 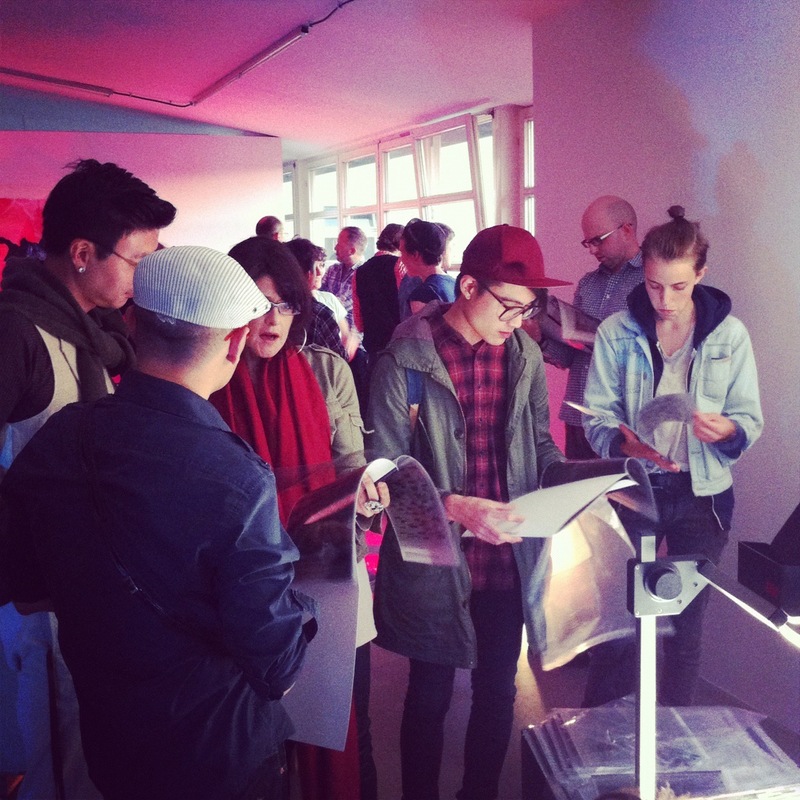 Hanley has also exhibited in Istanbul, Jerusalem, New York City, Chicago and Mexico City.